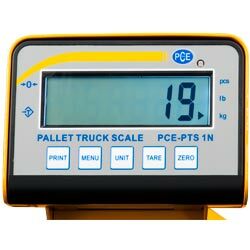 The forklift scale PCE-PTS 1 N is a comfortable solution to save time by combining two production steps. 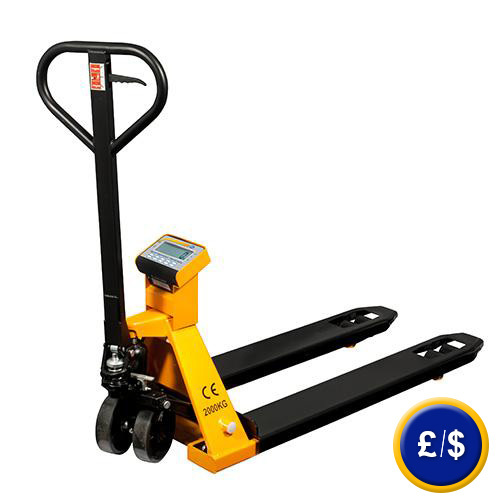 The forklift scale is able to transport and weigh loads up to 2,000 kg. Therefore the forklift features four weighing cells, which is part of the weighing system. 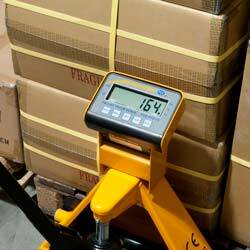 Another part of the weighing system of the forklift scale is the processing unit. The display of the scale at the forklift scale does not disturb the pivoting radius of 180 ° in no way. The forklift scale's power source is a 6 V battery enabling a flexible operation with the forklift scale. Despite the mounted weighing cells, the forks of the forklift scale are very flat and thus can be applied for various palette types. 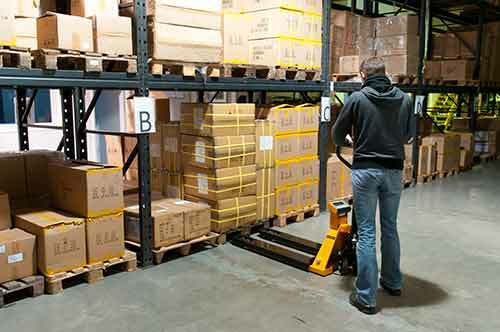 The forklift scale comes in handy if you wish to quickly determine the transportation fees for the palette, while transporting it from one point to another. For example the counting function can be used to for an automatic count during transport. And an overload by the lifted objects can be prevented with the summation function, which can sum-up a maximum of 99 palette weights. If you wish to purchase a calibratable forklift scale, please take a look at the TPWLKM model. In case that you should have more questions regarding the Forklift Scale PCE-PTS 1 N, please read the following technical data, use our contact form or call us: +44 (0) 2380 98703 0. Our technicians and engineers will gladly advise you regarding forklift scales or any other product in the field of Control Systems, Laboratory Equipment, Measuring Instruments or Scales and Balances of PCE Instruments Ltd. Here you will find an overview of all the balances available from PCE Instruments.